Hotel Atos, Prague. Atos Hotel Prague. 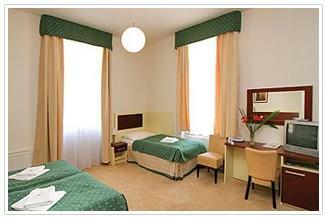 Hotel Atos can be found just a few minutes from Omonimo Castle, Venceslao square and the National theatre. This 3 star hotel was opened in 2003 and offers all the modern comforts in all its 67 rooms, en-suite facilities, telephone, satellite tv, minibar, hairdryer, safety deposit box and free internet connection. There is nothing better than starting the day with a well nourishing breakfast, so the buffet is a must, before setting off to explore the surrounding areas. The reception is open daily and available to help all the guests should they need assistance with changing money, booking tickets for excursions, buying souvenirs to name just a few. For lunch and dinner the restaurant Meduzzy on site at the hotel, offers a choice of both Italian and Greek cuisine, to which they pride themselves on and truly recommend.